Screw the provided LED spot on the wire. Screw the tripod on the DIAPOD in the screwthread. Clip the LED spot by giving an angle to the DIAPOD. Insert a slide in DIAPOD in the slot provided for this purpose. Warning ! When removing the LED spot from the DIAPOD, do not pull the spot, but give a little angle by holding the black part of the spot. Do not use in a wet environment. 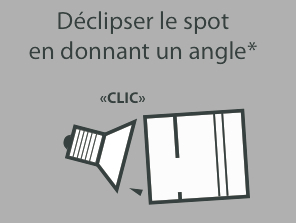 Give some angle to uncouple the spot by holding the black part of the spot. Do not pull straight. How to use DIAPOD ? As an accessory for your interior decoration. You can use it as a night light (very low consumption). Back-projecting an image through a layer or frosted glass. Projecting patterns on fabrics or curtains. Share your creations and ideas on our Facebook ! Read these instructions before using this projector. 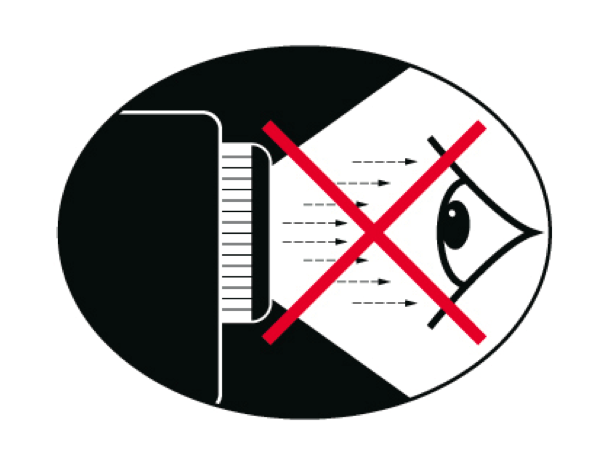 Do not look into the projector lens when the lamp is lit.The high brightness may hurt your eyes. Only use parts / accessories specified by the manufacturer. To reduce the risk of fire or electric shock, do not expose the projector to rain or moisture. For breakdown assistance, please contact a qualified technician. Servicing is required when the projector has been damaged in any way, such as: The power cord or plug is damaged. The LED Spot is damaged.